The mission of Open Door Counseling Network with centers in Port Orange, Daytona Beach and Ormond Beach is to glorify God by offering professional, affordable counseling to people in need, and to provide a supportive place for students and counselors to practice and train, all in Jesus’ name. Our team of professional counselors and therapists offer you a complete range of therapeutic services at affordable rates. We help people with: Anxiety, Depression, PTSD (Post Traumatic Stress Disorder), Difficult Relationships, Marriage Counseling, Adolescent (Teen) Counseling, Pre-marital Counseling, Family Counseling, Trauma Recovery, Drug and Alcohol Addiction, Eating Disorders, Anger Management, ADHD (Attention Deficit Hyperactivity Disorder), Grief Counseling, Bipolar Disorder, Sexual and Physical Abuse Counseling, Sexual Issues, Parenting Skills and More. Our three counseling centers are supervised practices of independent mental health professionals driven by their love for Christ, offering comprehensive counseling services to the Central Florida community. Clients need not be a follower of Christ to receive licensed, professional counseling services at our Port Orange, Daytona Beach and Ormond Beach locations. With three locations in Volusia County – Port Orange, Daytona Beach, and Ormond Beach, we are able to provide professional, affordable counseling services to individuals, couples and families in several communities throughout Central Florida. We believe money should never stand in the way of good counseling. Sadly, it far too often has. With the invaluable help of our supporters, the generosity of our counselors, and the efforts of clients to pay what they can afford, we are making a difference. Communities are healthier and more vibrant when we come together to help our neighbors get back up and finish strong after life circumstances have dealt a hard blow. We thank you for considering our counseling centers. We want to help and understand that contacting someone is a brave first step. We promise to take your concerns seriously and want to earn your trust. Working with clients of all ages, our caring team of experienced, independent, private practitioners help guide individuals and families through challenging circumstances to meet their goals. As a registered 501c3 nonprofit organization, we are committed to using your donations to transform the lives of people in need throughout the Volusia County and central Florida community. 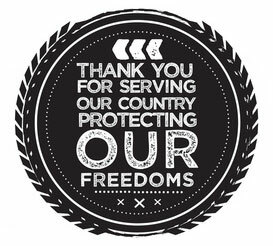 There is an especially elevated need for reduced rate counseling services for our Veterans as they return home from the front lines after sacrificing so much for the freedom we enjoy. First Responders are also faced with serious new threats to their lives and emotional health as they bravely encounter situations most of us never imagine. We provide discrete counseling for Clergy, Veterans and their families, First Responders and Aviation professionals.